One of the things I most enjoy is sharing my love for certain scores and specific movies. On Saturday I visited the Autry Museum of the American West — one of L.A.’s cultural gems — to participate as guest curator in their “What Is a Western?” film series. I introduced one of my favorite 1970s films and scores, Sergio Leone’s Duck, You Sucker (also known as A Fistful of Dynamite, or Once Upon a Time… The Revolution) with its glorious music by Ennio Morricone. It was a chance to extol the virtues of this underrated film (with Rod Steiger and James Coburn, teaming up during the Mexican Revolution), tell something of its curious backstory (Leone never intended to direct it, and battled Peter Bogdanovich for three months over it) and advise the audience on what to listen for. Autry procured that rarity, a complete 156-minute 35mm print, and I highly recommend the theater, a comfortable 200-seat room. 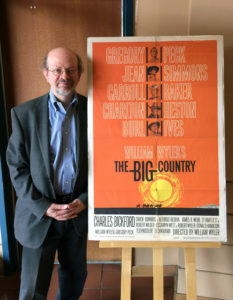 I returned Oct. 29 to introduce The Big Country and its remarkable, groundbreaking score by Jerome Moross. 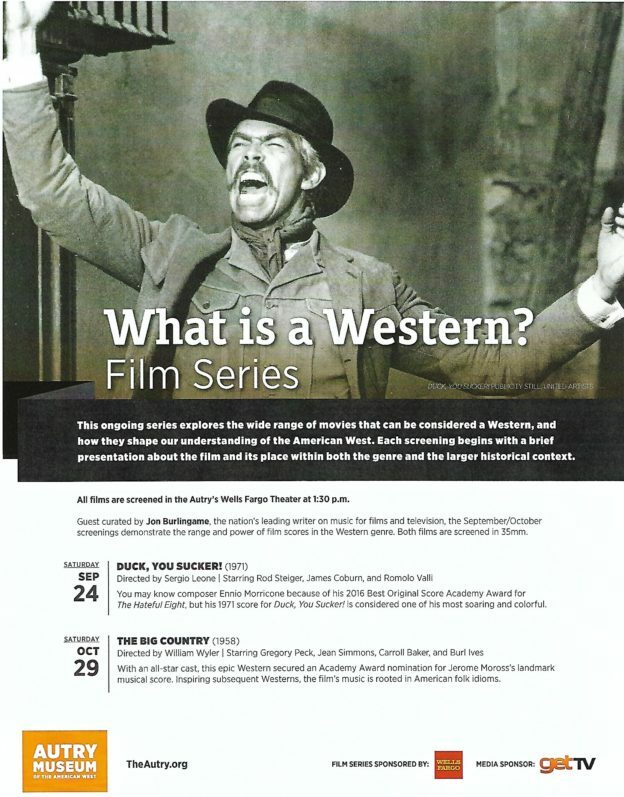 This entry was posted in and tagged A Fistful of Dynamite, Autry Museum, Duck You Sucker, Ennio Morricone, Sergio Leone, The Big Country, What Is a Western?, Zapata Westerns on October 30, 2016 by Jon Burlingame.